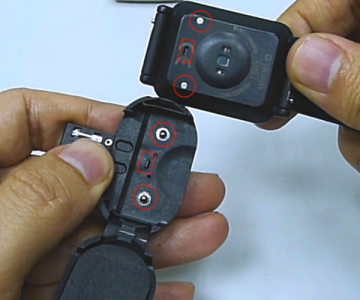 Q1: How to reset your Q-Watch device? 1. 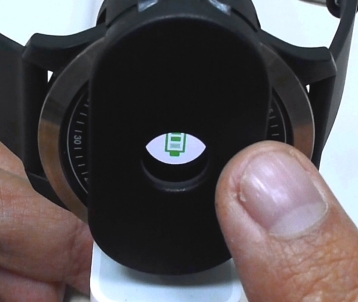 Please press and hold the button for 12~15 seconds, the Q-Watch device will show the icon in the display screen below. 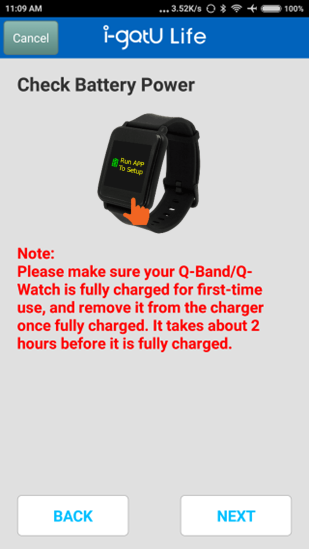 Note: If your Q-Watch device does not show the icon, please try the step again. 2. 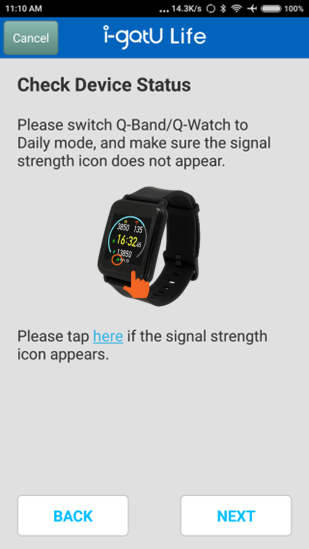 When you see the disconnection icon is shown on the Q-Watch device, please tap the button twice, the Q-Watch device will show the icon in the display screen below. 3. After reset your Q-Watch device, then it will clear the Bluetooth settings, so you have to pair and connect with it again. 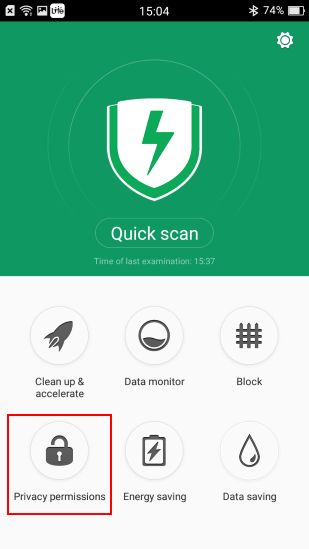 and follow the Installation Wizard to establish the connection between Q-Watch device and your phone. Q2: Why my Q-Watch device always show ”Run APP to setup” after it failed to upgrade the firmware? 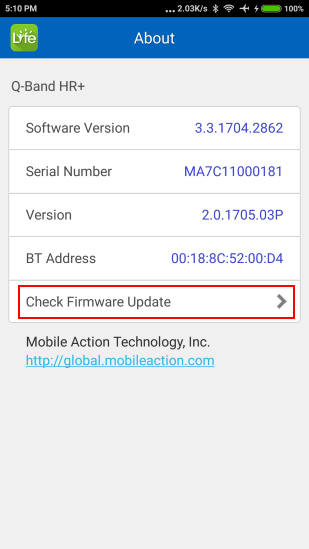 When you first time to install or upgrade the new firmware, phone Bluetooth disconnect suddenly or battery low might cause firmware upgrade failed. At this time, Q-Watch device will only show [Run APP to setup] due to the incomplete installation of firmware upgrade. 2. 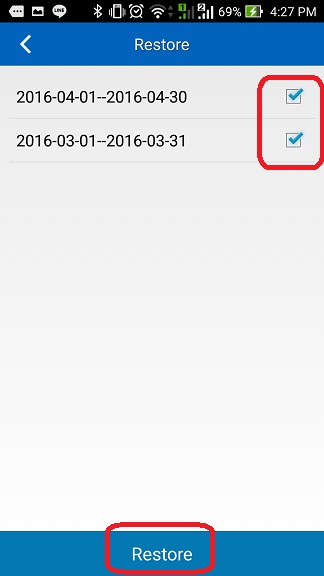 Enable your phone Bluetooth setting, and remove all paired devices. 3. 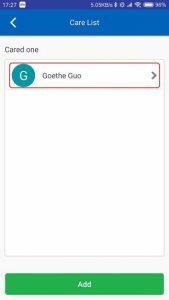 Update i-gotU Life app to the latest version, then open the i-gotU Life app and select "Yes,First time" to connect Q-Watch device. 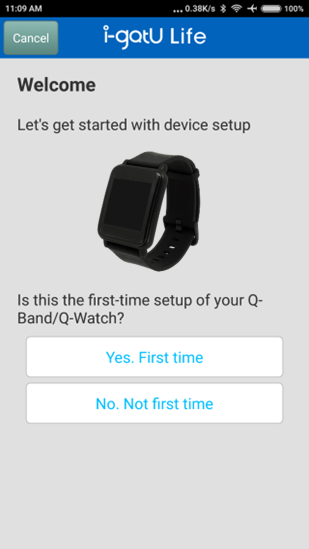 and then select "Yes, First time", then following the installation wizard to connect Q-Watch device. If you can access the App, please tap the icon at top left corner: Home, > Settings > Change Device Language you need. Then i-gotU Life will download firmware again and install on Q-Watch device. After changing language successfully, you can see the time display on your Q-Watch device. then select the same language to reinstall the device firmware. If i-gotU Life appeared "Disconnect" on the upper left corner of the software, please tap [Home] > [Setup] > [Setup New Device] to reinstall the device firmware. 1. If i-gotU Life cannot find the Q-Watch device, please try to reset the Q-Watch device, please refer to the FAQ > Q1 to reset your Q-Watch device. 2. 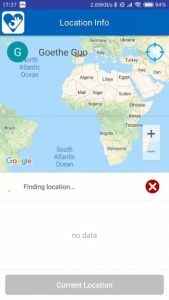 If your Android phone version is 6.0 and above, please make sure you have enable the Location(GPS) function. please tap [Home] > [Setup] > [Change Device Language], then select the same language to reinstall the device firmware. Q3: Why there is no sleep record? If you want to record your sleep data, you must switch to Sleep mode on your Q-Watch device when you are going to sleep. 1. 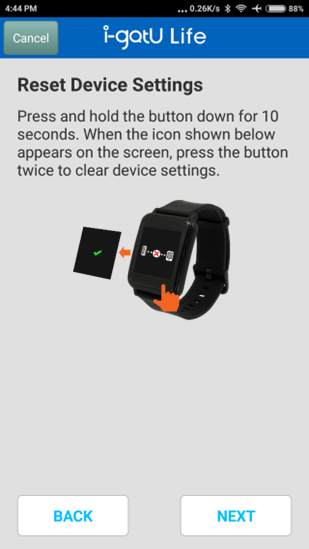 Please long-press the button on the Q-Watch device until you see 4 icons on the screen for mode selection. 2. Tap the button twice to select Sleep mode” (moon icon) and leave the button. After vibrating once, your Q-Watch device will switch to Sleep mode. When you get up after, please switch your Q-Watch device to Daily mode to stopping record sleep. If you have a regular sleep time, we recommend you to enable Device Auto Sleep function. You do not need to manually switch to Sleep mode. 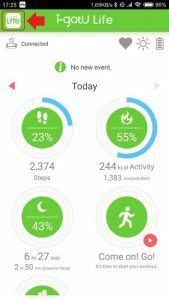 the sleeping pattern data will be downloaded from Q-Watch device, and then i-gotU Life app will analysis your sleeping pattern. 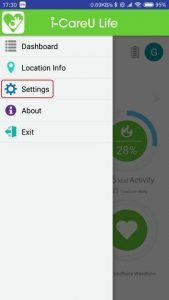 If you still have not seen your sleeping pattern, please try to click the sync icon on the upper left corner of the software to download your Q-Watch device data. Q4: How to configure notification of incoming calls, SMS, E-Mail, or alerts from the social apps? 1). Please tap “Menu” of the i-gotU Life (on the left top), and then tap “Notification”. 2). 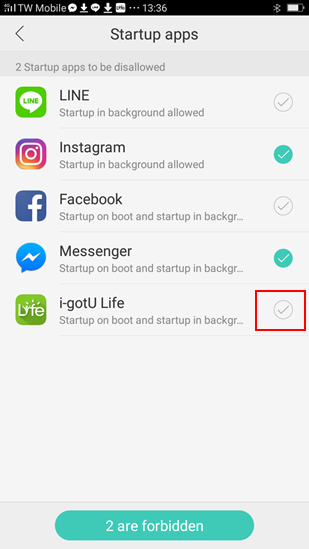 When you get into the setting of “Notification”and enable this function, the Android phone will appear a tip to ask you to follow the procedure to enable Notification for i-gotU Life Service. If you are using iPhone, please skip to step4. 3). 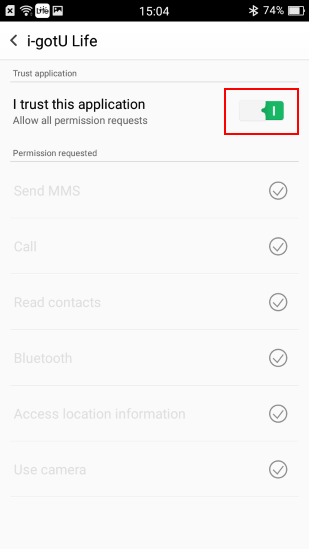 Please tap "OK" to enable Notification function, and follow the procedure to allow the Notification access Service. 4). 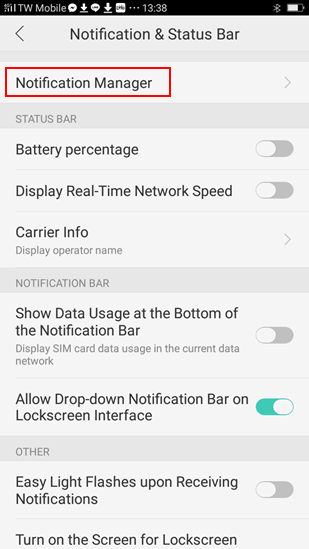 After you enable i-gotU Notification Service, please go back to the setting of Notification”. Select the programs that you need to be notified, and tap “back” to the main display. 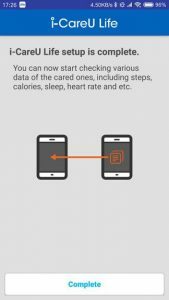 Q5: How to re-connect with Q-Watch device when I change to another phone OS? When you change your phone from Android phone to iPhone or iPhone to Android phone, you have to turn off the bluetooth of old phone first. Note: It will delete your phone Bluetooth record and reset your Q-Watch device in this installation process. Please must execute the whole process. 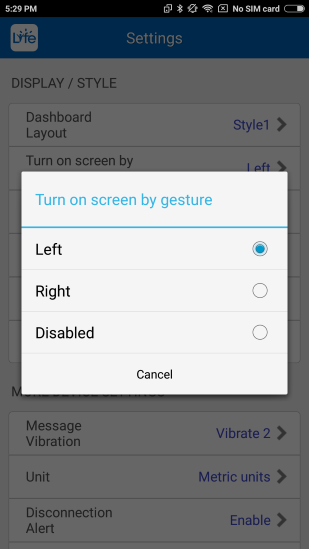 Q6: How to turn on screen by gesture? 1. Please tap“Menu” of the i-gotU Life (on the left top), and then tap“Settings” >“Turn on screen by gesture” under MORE DEVICE SETTINGS. Then select the Q-Watch to be worn on your left or right wrist. 2. Make sure the Q-Watch is worn correctly on either your left or right wrist as illustrated. 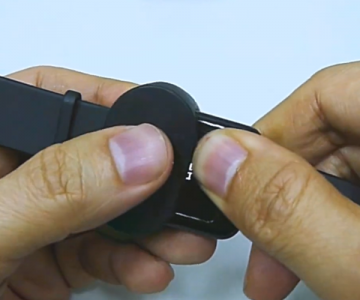 Gesture sensing might be affected if you re-wearing the Q-Watch inappropriately. After that, please tap “Sync” on the right top icon to sync the setting with your Q-Watch . 3. After raising your Q-Watch, you must reverse its screen to show the display (around 90 degree). if you are wearing on the left hand, please do reverse clockwise from outside to the front of your eyes after raising your left hand. 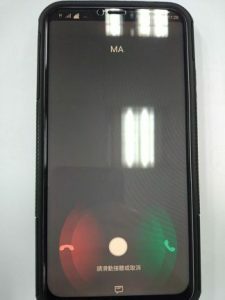 Q7: Why Q-Watch device cannot connect with my phone? 1. 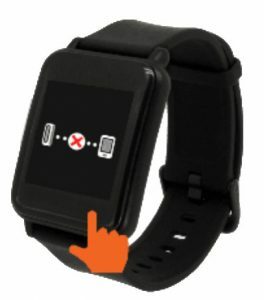 Please make sure the current mode of your Q-Watch device. Only Daily and Sports mode can connect with your phone. The other mode will NOT connect: Sleep, Nap and charging mode. 2. 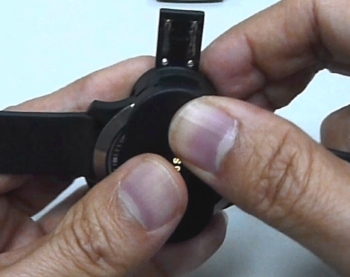 Please refer to the following steps to connect your Q-Watch device. Step1. Please go to Bluetooth setting on your phone, and clear all paired Bluetooth devices. (ex: Bluetooth Headset, Bluetooth Speaker, include Q-Watch), then restart your phone. Step2. Please switch to “Sleep mode” on Q-Watch device, then reset Q-Watch device. then follow the procedure on the screen to finish setup. Step4. 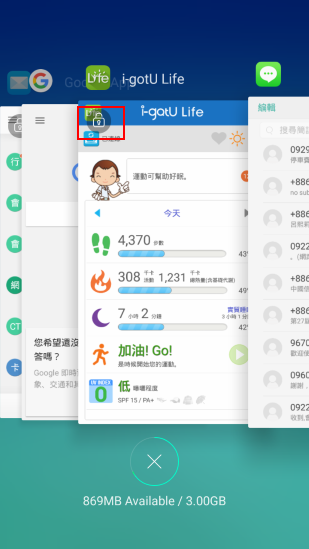 After finishing the setting, the main screen on i-gotU Life app will appear “Connected”. 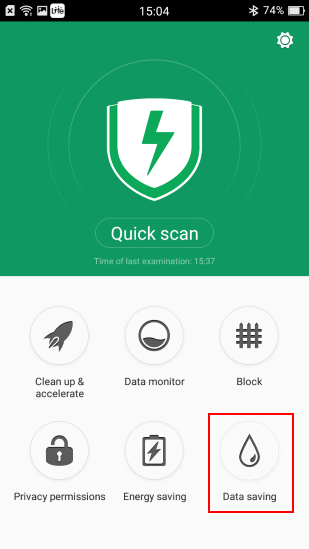 Q8: Android 8.0 phone often disconnect with Q-Watch device or appear the notification failure message? 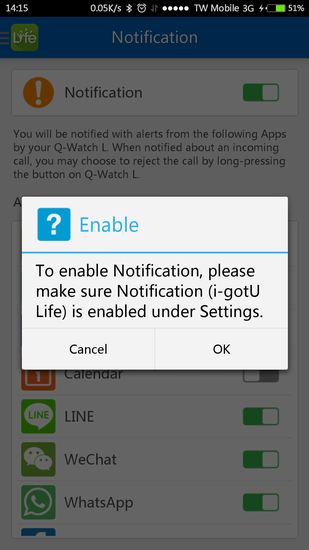 If your Android 8.0 phone often disconnect with Q-Watch device or i-gotU Life pop up the notification failure message, please refer to the following steps to set your phone. 1. Settings → Battery → PowerMaster → Auto-start manager→ Allow i-gotU Life to the permission list. 2. Settings → Battery → PowerMaster → Battery modes → Set to the Normal mode. 3. 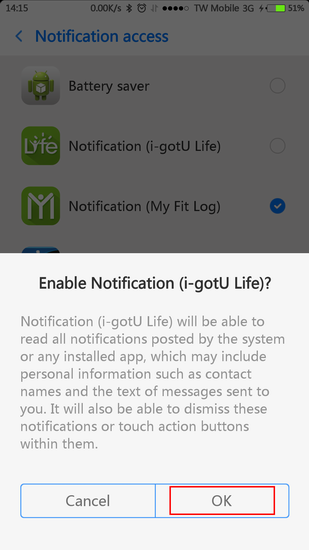 If the disconnection message still pop up to notify you, please open i-gotU Life app → Menu → Notification → Enable Notification and custom apps → Check asus smartphone's Setting → Apps&Notification → Notification → Enable i-gotU Life app's notification. 4. 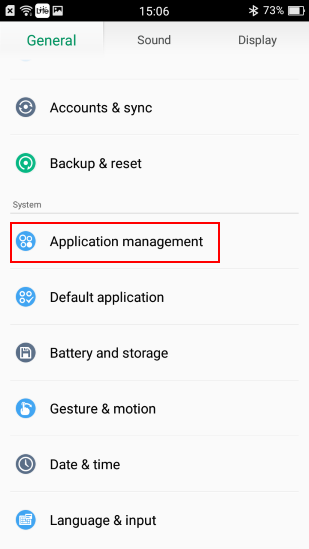 Open asus smartphone 's program(Mobile Manager) → Tap the upper right selection → Settings → Turn off [Clean up in suspend] function. 1. Open i-gotU Life → menu → Notification → Custom App, then enable the Custom App, and select the i-gotU Life App. 2. Check your phone, go to Settings → Apps → more → Special access → Notification access, and enable i-gotU Life. 3. Check your phone, go to Settings → Device maintenance → Battery, disable Power Saving Mode. PS: If you still cannot solve the problem when you have finished the steps above. Please remove the i-gotU Life, and reinstall it. 1. Open i-gotU Life App → menu → Notification → Custom App, then enable the Custom App, and select the i-gotU Life App. 2. Settings → Battery → disable the Power Saving mode. 3. Settings → Battery → Launch → Manage batch manually → select the i-gotU Life app and allow the all options. 4. Settings → Advanced settings → Battery manager → Protected apps, please enable the i-gotU Life app. 2. Please go to the Auto-start manager function, then add the i-gotU Life App. 3. Please go to the Background program manager function, then set the i-gotU Life that does not add to Background program manager. 4. Please go to Settings → Battery, disable the power saving function. 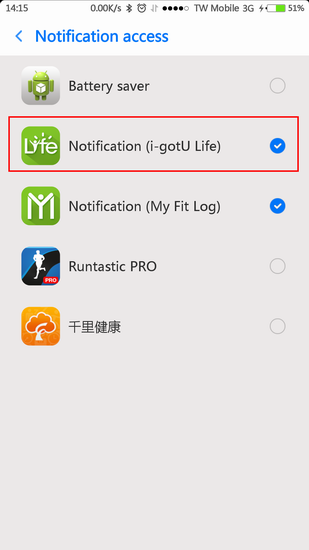 Q9: Why i-gotU Life app appear Notification problem message? 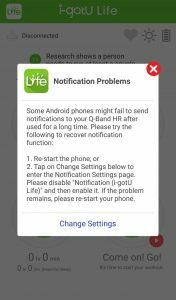 Due to some Android phones have added the performance adjusting program, even though i-gotU Life app has added to the [Notification access], it still pop up the message of Notification problem. Please refer to the following steps to solve problem. 1. 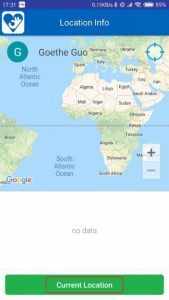 Please add i-gotU Life app to [Auto start] list. 2. Please lock your i-gotU Life app, if your smartphone has supported the lock app function. 3. Please turn off the Battery Saving function. 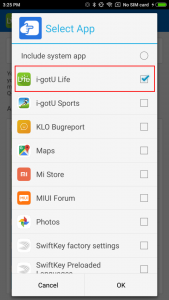 Battery saving function may force to close Bluetooth function or shut down i-gotU Life app. 4. 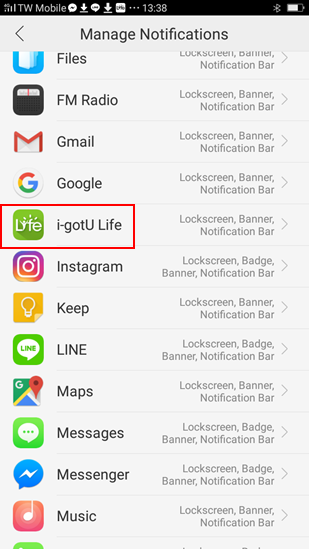 Please open i-gotU Life app, then go to [Notification] > [Custom App], check i-gotU Life app whether it has been selected. 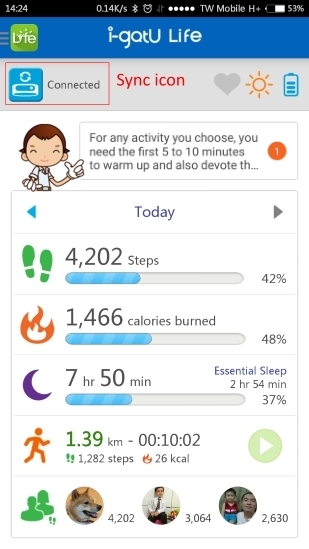 Q10: Why my Q-Watch will still increase calories even when I don’t wear it? We adopt BMR (Basal Metabolic Rate) and plus the calories of extra activities to calculate the calories consumption. BMR (Basal Metabolic Rate) is according to the PROFILE that you wrote (Gender, Age, Height, and Weight). When you are not wearing, or not moving the Q-Watch device, it will use BMR (Basal Metabolic Rate) to calculate your calorie consumption. So you will see almost the same calorie consumption in the timeline of the Calorie chart. When you do some exercises, our program will calculate the calories according to the speed detected by the motion sensor in your Q-Watch device. Generally speaking, the faster detection, the higher calories. Q11: My iPhone has enabled the Notification function of i-gotU Life, but my Q-Watch device does not receive the message notification? please tap [Settings] > [Notifications] on your iPhone, then select app and enable the [Allow Notifications] option. 2). Please go to phone settings > Battery, disable the [Low Power Mode] option. 3). 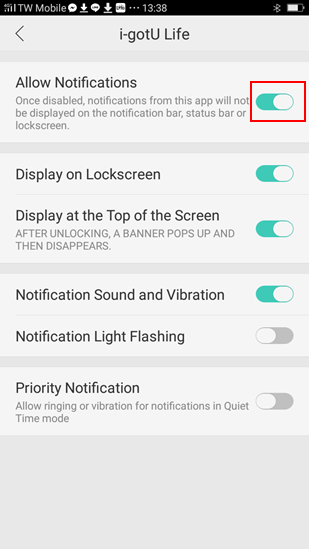 Please clear all notifications in the Notification bar, then restart your phone. Q12: Why Q-Watch cannot detect sleep pattern and quality automatically? Sleep pattern and quality is detected by the vibration extent and frequency of Q-Watch device. Then it will show the different phases according to the above detection: Awake, Light sleep, Deep sleep and REM (dreaming). If sleep status is just detected when Q-Watch device is stationary or less movement, inaccuracy would be increased. 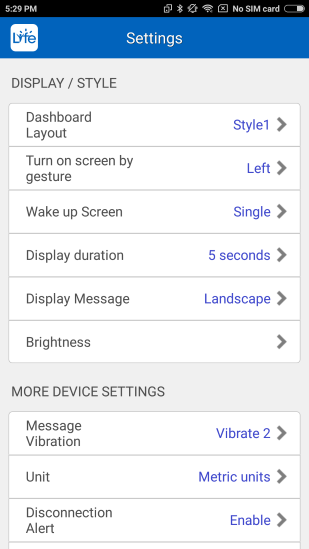 So we let user manually switch to sleep mode or set [ Auto Sleep ] function under setting of the App. Q13: How to set Auto Sleep mode on your Q-Watch device? 1). Please tap “Life” icon of the i-gotU Life (on the left top), and then tap “Settings > DEVICE AUTO SLEEP” to do the time setting. 2). Please enable the DEVICE AUTO SLEEP function, then tap Start Time” to set your sleep time and “tap End Time to set your get up time”. 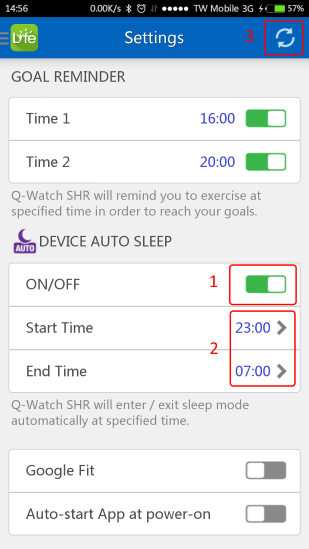 After finishing the auto sleep setting, please tap the Sync button on the upper right corner to sync the setting to your Q-Watch. The Q-Watch device will automatically change to Sleep mode on your Start time, and change to Daily mode on your End Time. Q14: What is the criteria of sleep pattern and quality? After switching to “Sleep mode”, Q-Watch will be based on the level of shaking, frequency, and duration of time to determine what is awake, light sleep, deep sleep or REM. Q15: How to calculate the “Essential Sleep” shown in the Sleep mode? Q16: How to shut down the power of Q-Watch device? 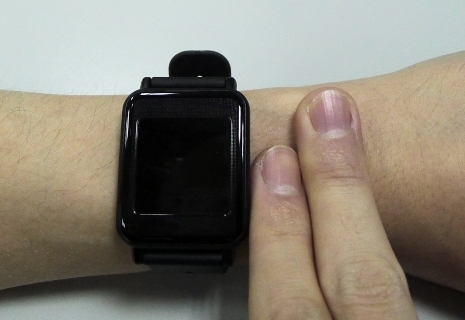 Q-Watch device is designed for 24 hours wearing. It has built-in saving power function, so it does not need to shut down the power. Q17: What’s the battery life of Q-Watch when it is fully charged? 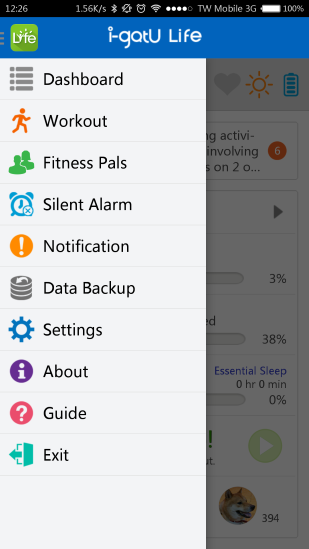 You can use Q-Watch up to 7 days without charging with notification enabled and heart rate detection disabled. If you enable 24 hours continuously heart rate then you can use Q-Watch up to 5 days without charging. Q18: How many days of records can be stored? It has Circular Logging function: Q-Watch will keep on recording data even if the memory has reached its limits. When the memory is full, the oldest records will be overwritten. 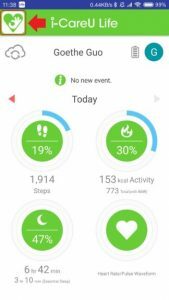 Q19: Why is the distance under Sports Mode of Q-Watch different from the actual distance? The distance is calculated by "Steps x Step Length". The steps on Q-Watch is calculated 2 steps when your hand swing back and forth once, and the step distance is detected by the motion sensor according hand swing speed. The faster you walk, the greater the lengths of your steps will be. However, it could be inaccurate for the number of steps and the step length due to the fact that everyone's positions differently while walking or running. So the distance calculated by Q-Watch will be different from the actual distance. If you want to get a more accurate distance, please enable the GPS of phone when you start the workout function. The distance calculated by the GPS will be more accurate. Q20: How to update the firmware of Q-Watch device? 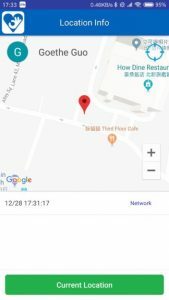 Q-Watch device will automatically update online. 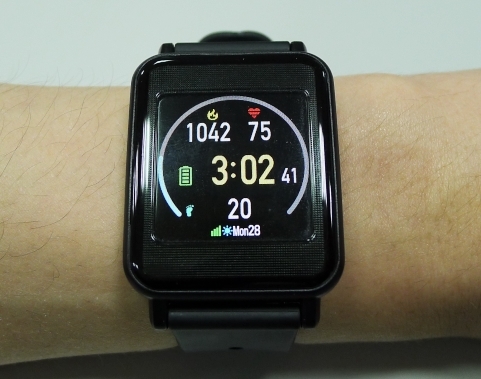 When Q-Watch device is connected with i-gotU Life in the first time, the app will detect the firmware of Q-Watch device and update to the latest. Then the app will auto-detect the firmware once a week. i-gotU Life also provide the manually update. Please tap "Life" icon of the i-gotU Life (on the left top), and tap [About] > [Check Firmware Update] to update your firmware. 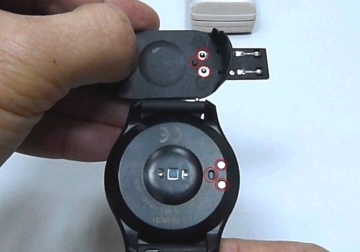 Please make sure the battery of Q-Watch device is more than 3 grids before updating the firmware. 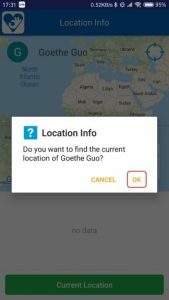 Q21: How to backup and restore the i-gotU Life app data? and run Data Backup function to backup your data. 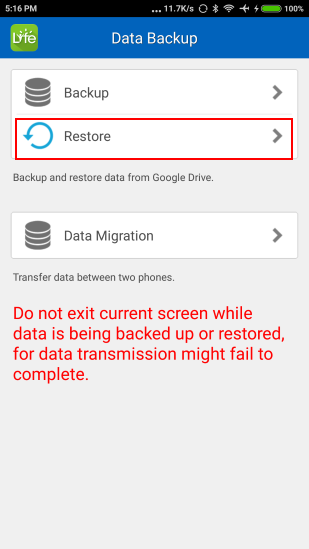 When you changed phone or removed i-gotU Life app, you might run the Restore function to recover your data. 1. Please make sure Wi-Fi or 3G/4G network of your phone has been turned on. 2. 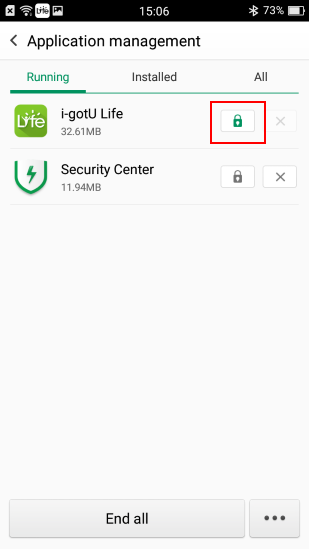 Please tap “Life” icon of the i-gotU Life (on the left top), and then tap “Settings > Data Backup” into the Data Backup function. Please tap "Backup" to upload your data to Google Drive or iCloud. Note: If your are using Android phone, the data will backup to Google Drive, if you are using iPhone, the data will backup to iCloud. 3. The existing data will be covered. 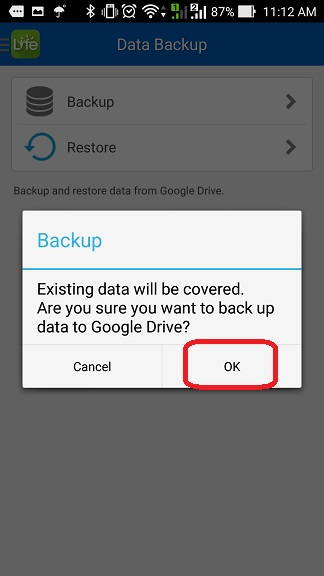 Please make sure and tap "OK" button to backup your data. 4. 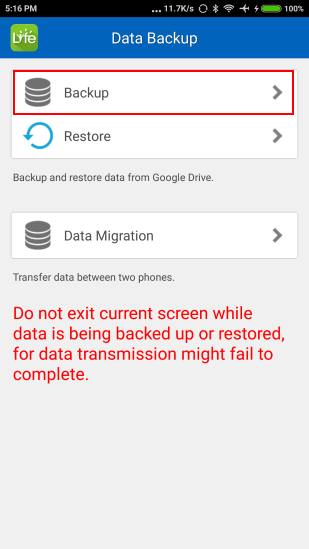 When you changed phone or removed i-gotU Life app, you might run the restore function to recover your data. Please select the month that you want to recover, then tap "Restore" button to recover your data. Note: The Google Drive data is only for Android phone, and the iCloud data is only for iPhone. 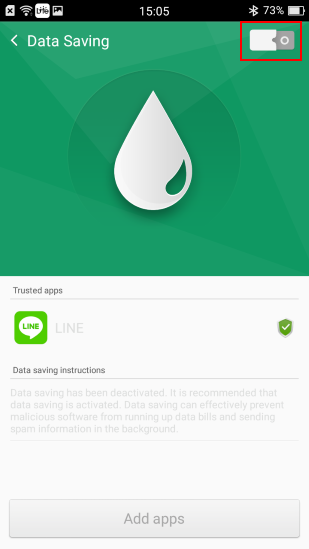 Q22: Why the i-gotU Life app pop up the notification problem message when I use the OPPO phone? but the i-gotU Life app still shows the notification problem message, please refer to the following steps to check your phone settings. 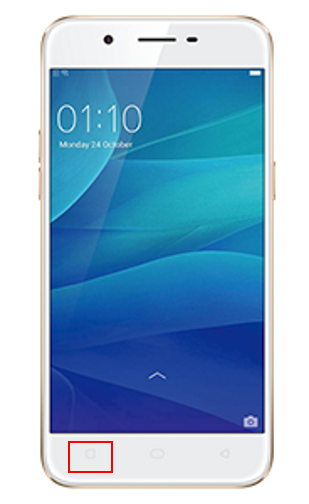 You have to check the ColorOS version in your OPPO phone, please go to [Settings] > [About phone] >[ColorOS version]. then select [i-gotU Life], and enable the option to trust the i-gotU Life app. 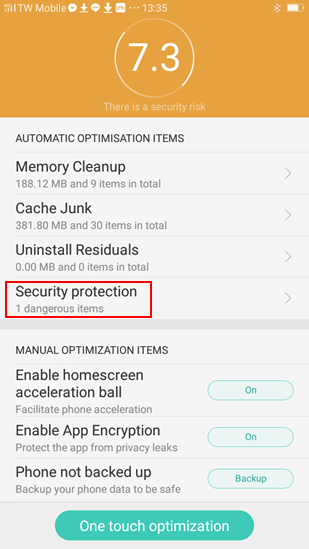 Go to [Security Center] > [Data saving], then disable the Data Saving option. Notice: If you enable the Data Saving option, the phone bluetooth will be turn off. please tap the lock icon to lock this app. 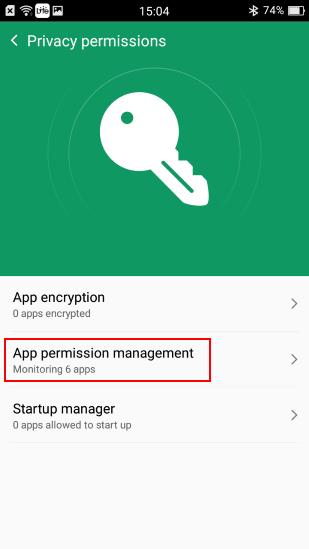 Go to [Security] (For ColorOS V3.1/3.2/5.0 , please go to [Phone Manager]) on your phone, and tap [Privacy permissions] > [Startup Manager], then enable i-gotU Life app. 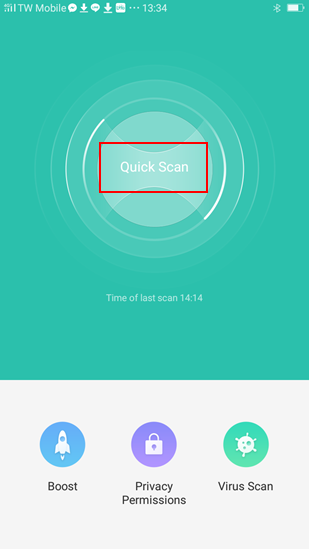 Go to [Security Center] on your phone, and tap [Quick scan] to scan your phone. 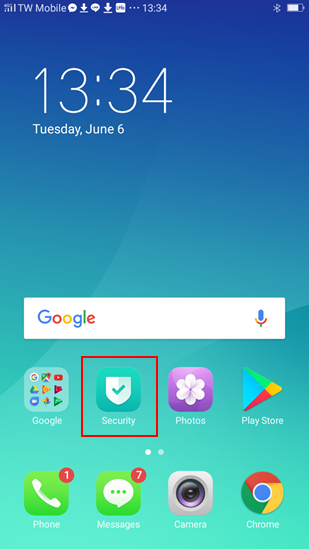 After scanning your phone, please tap [Security protection] > [(X)startup apps can be disallowed]. 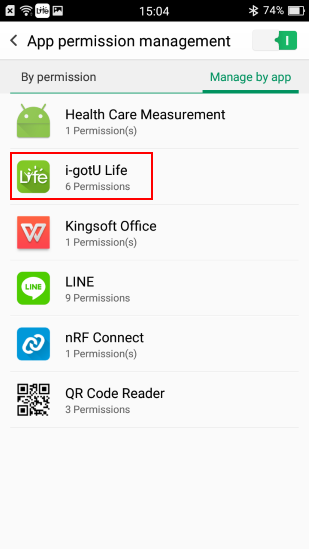 You will see the [i-gotU Life] in the startup apps list, please do not select the i-gotU Life app. 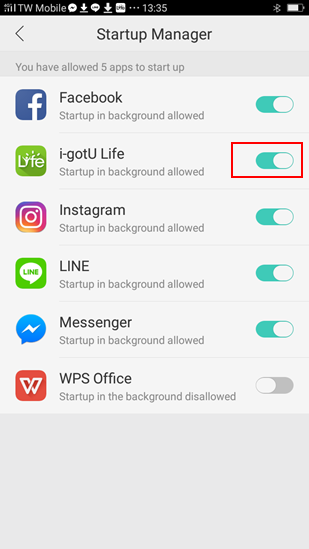 Go to [Settings] > [Notification & Status Bar] > [Notification manager], then select [i-gotU Life], and enable the option to allow the i-gotU Life app. After starting the i-gotU Life app, then long press the Recents button to show the recent apps tray. Please slide down the i-gotU Life app to lock it, so the i-gotU Life app could keep running in background without being cleared. 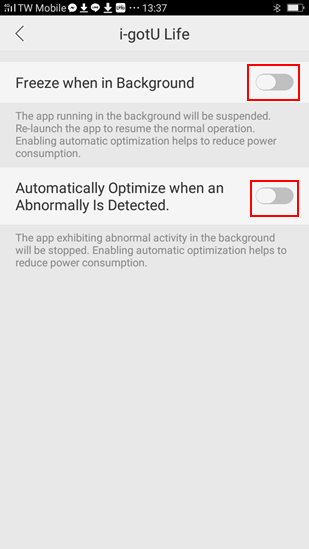 Go to [Settings] > [Battery] > [Others], (For ColorOS V3.1/3.2/5.0 , please go to [Energy Saver]), then select [i-gotU Life], and disable the [Freeze when in background] and [Automatically optimize when anomaly is detected]. 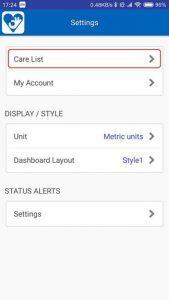 Q23: How to set the Low Activity Alert function? 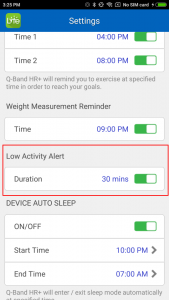 If you would like to configure "Low Activity Alert" function, your Q-Watch device need to be connected with your phone. 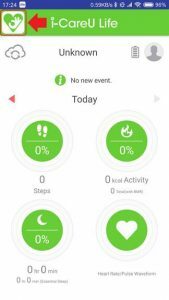 When your Q-Watch device does not transfer any step to your phone during your setting duration(30 minutes~120 minutes), i-gotU Life app will transfer the low activity alert to your Q-Watch device. 1. Please tap "Life" icon at the upper left corner > "Settings", then scroll down to the button of settings page and select "Low Activity Alert" function. 2. Please tap "Life" icon at the upper left corner > "Notification", then enable the function. Enable the "Custom App" option, then into the "Custom App" option to enable "i-gotU Life" app. Note: iOS system only need to enable "Other App" option. Q24: How to detect your “Resting Heart Rate”? “Resting Heart Rate” is an important index for cardiovascular health, it's the heart rate which could be measured when you are awake, relaxed and inactive. It is more accurate when you lie down to measure resting heart rate, we suggest you that switch the Q-Watch device to "Sleep mode" before go to sleep, the Q-Watch will automatically detect your resting heart rate. Please refer to the following settings to enable resting heart rate detection. If you have set the [Device Auto Sleep] to detect your sleep status, the Q-Watch heart rate detection function will be automatically turned on before 1 hour of the start time that you set. Q25: How to check cared one‘s “Location Info” ? 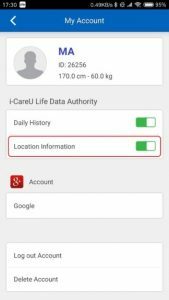 ※Before activating i-CareU Life APP to check cared one's "Location Info" , please make sure that cared one’s smartphone has enabled Mobile Network or Wi-Fi、GPS function and i-gotU Life APP Data Authority options. 1. )Please activate cared one's i-gotU Life APP > Tap the life icon at the upper left corner to open function menu > [ Remote Care ] > [ My Account ] , enable the [ Location Information ] option to authorize i-CareU Life APP to check the data. 2. )Please activate i-CareU Life APP > Tap the heart icon at the upper left corner to open function menu > [Location Info] , then tap [Current Location] button. 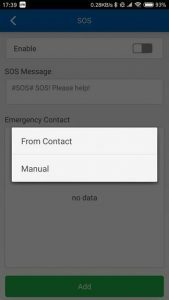 Q26: How to enable SOS Button? 1. )Please activate i-gotU Life APP > Tap the life icon at the upper left corner to open function menu > [ Remote Care ] > SOS Button [ Settings ]. 2. )Tap [ Add ] button to add Emergency Contact on the list ( You could choose to add Emergency Contact via smartphone’s [ Contact list ] or [ Manual ] input > When the message of “You can push the button on device 20 times to trigger an SOS ”shows up, tap [ OK ] to confirm that Emergency Contact has added successfully and SOS Button option has enabled. 3. )then go to [ Dashboard ] to check that SOS icon has shown up or not. 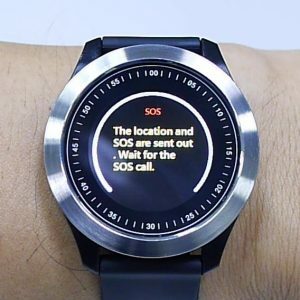 When SOS Button icon at the upper right corner has shown up, it means that SOS Button option has enabled successfully and completely on your Q-Watch. 1. 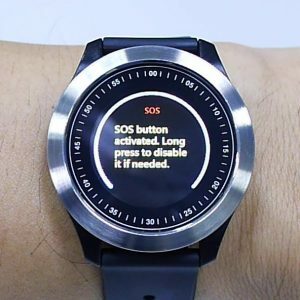 )When cared one encountering the emergency or falling down accidentally, tap the Q-Watch button continuously to trigger SOS Button. ※You may disable SOS Button by long pressing the Q-Watch button within 5 seconds. 2. )Trigger SOS Button, i-gotU Life APP will automatically launch to send SOS message and call the Emergency contacts. Due to the permission issue of iOS system, the Q-Watch device does not support to remote control iPhone to send SMS and call automatically. 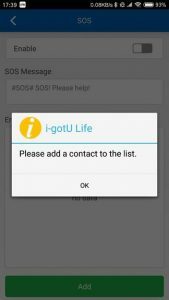 Please open i-gotU Life app on your iPhone and long press SOS button at the upper right corner to trigger SOS procedure, then manual to send SMS and call. ※ i-CareU Life APP will receive cared one’s SOS message and Location information which will show on i-CareU Life APP’s event simultaneously. 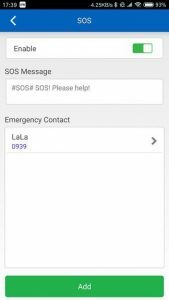 ※Emergency Contacts who were added on i-gotU Life APP SOS Button will receive SOS SMS message and SOS call. 1. )Q-82、Q-90 support Remote Care and SOS button. 2. 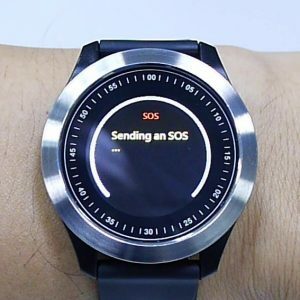 )You may disable SOS Button procedure by long pressing the Q-Watch button within 5 seconds when SOS button is already triggered. 3. 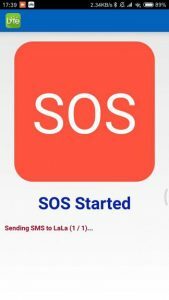 )Emergency Contacts of SOS Button could be added up to 6 people mobile phone number, when SOS Button has triggered for 5 seconds later, i-gotU Life APP will launch emergency SOS procedure, include sending SOS SMS message and calling the Emergency Contacts via phone. 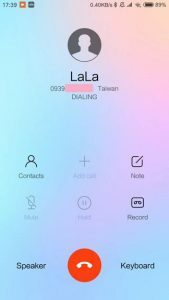 If there is no one answering SOS call and transferring the SOS call to voice mail, it will be considered as SOS call successfully and will not call the next Emergency Contact. 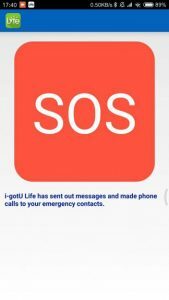 i-gotU Life APP will also send SOS message and location information to caring family and friends who have bound to the Care List of i-CareU Life APP too. 4. )Due to the permission issue of iOS system, the Q-Watch device does not support to remote control iPhone to send SMS and call automatically. Q1: How to install the Q-Watch ? 1). Please make sure your Q-Watch device is fully charged via USB Charging box when you use it for the first time. It takes about 3 hours before it is fully charged. Q-Watch device has power protective design before the first time connection. It has to be fully charged, otherwise it cannot turn on and normally use. 2). 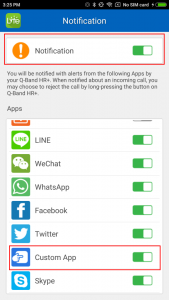 If you are using Android phone, Q-Watch does support Android 4.4 and above version. Please download i-gotU Life app from Google Play. If you are using iPhone, Q-Watch does support iPhone 5 and above phones / iOS 10 and above version. Please download i-gotU Life app from App Store. • Please click here to see the Compatible devices. 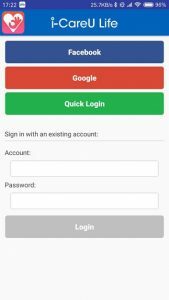 After that, please open i-gotU Life app and follow the Setup Wizard to pair via Bluetooth and input your basic personal information. 1. 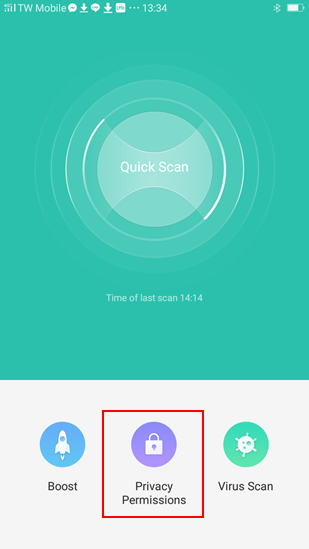 If your phone Bluetooth cannot find Q-Watch device, please click the Q-Watch device button once and then back to App and scan again. If it still does not find anything , please try to reset the Q-Watch device, please refer to the FAQ > Product Operation > Q1 to reset your Q-Watch device. 2. Q-Watch will connect to server and check the firmware version when the Q-Watch has first connected with phone successfully, please make sure Wi-Fi or mobile network of your phone has been turned on. 3). After finishing your basic personal information setting, i-gotU Life will download, analyze and sync data with your Q-Watch device. Q2: How to charge your Q-Watch? 1. )Please open the charging box, make sure that metallic contacts of the core aim at the metallic contacts of the charging box and locating hole of the core aims at the locating pin of the charging box. 2. )Place the core into the charging box then close the lid securely. 3. 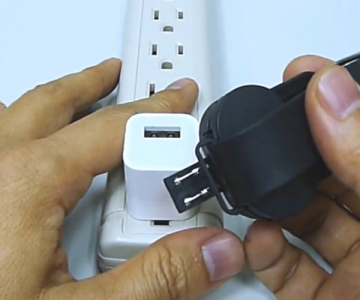 )Plug the charging box into the USB port of mobile phone charger. 4. )Charging icon in progress displays on the screen when the USB port direction plugs into charger correctly. 5. 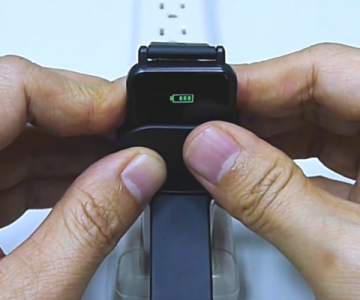 )When Q-Watch is fully charged, charging icon which power is full displays on the screen. 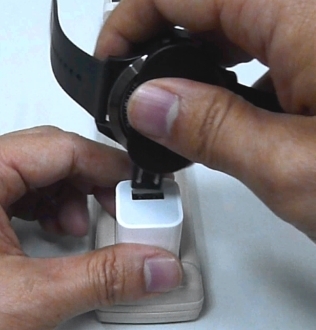 ※It takes about 2~3 hours for Q-Watch is fully charged at the first time. The product is shipped with the screen and keys locked, and will be unlocked once it is charged via USB connection. Please make sure the "Charging icon" appears while it is being charged, indicating the device is connected correctly and getting charged. Q3: How to detect your heart rate correctly on the Q-Watch? 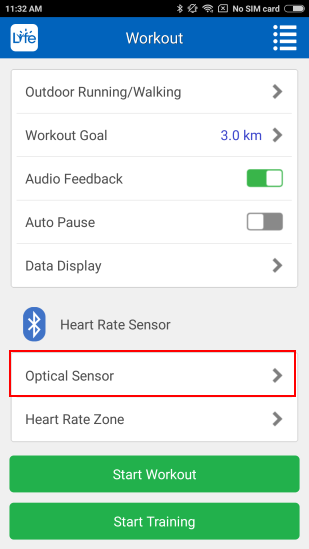 Tap the Life icon on the upper left corner to enter igotU Life app function, select [Workout], then select [Optical Sensor] on the option of Heart Rate Sensor. 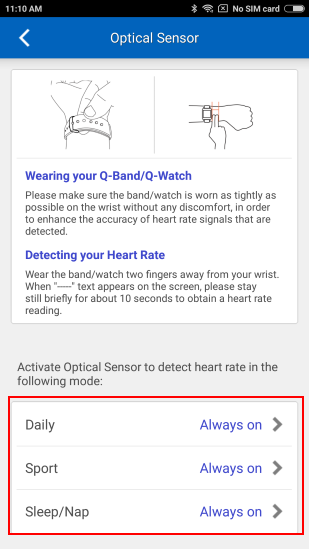 In the option of Heart Rate Sensor, please refer to instruction to wear Q-Watch, and select which mode you want to activate the optical sensor. Please adjust the position above the wrist for 2 fingers, and make sure Q-Watch is worn as tight as possible on the wrist. In order to enhance the accuracy of heart rate signals that are detected. Optical Sensor uses PPG( Photoplethysmography) technology to detect, PPG is an optically obtained plethysmogram, a volumetric measurement of an organ. And user should wear on the position of the capillary concentrated distribution area. Suggestion to wear above the wrist for 2 fingers, the heart rate detection will be more accurate. [Always on]: This option can continuously detect your heart rate for 24 hours. [Device Sleep Activation]: If you would like to detect your Resting Heart Rate, you have to select this option. The Q-Watch heart rate detection function will be automatically turned on before 1 hour of the start time that you set. Note: If you would like to stop the heart rate detection, please tap the button to other display screen to stop the heart rate detection. 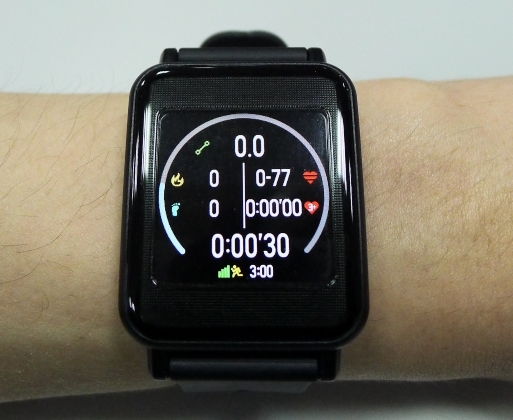 Switch Q-Watch to Sports mode, it will need for 10 seconds to scan, then will appear the heart rate value. 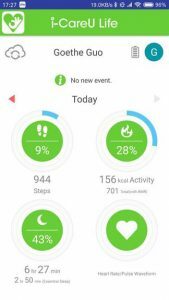 If you want to stop detecting heart rate, please switch the Sports mode to Daily mode. 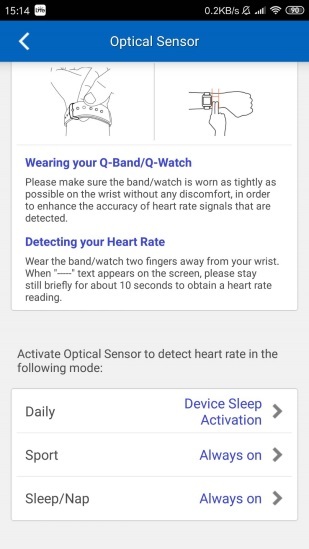 Please switch your Q-Watch to Sleep or Nap mode to detect your heart rate. If you have set start time at 22:00, end time 06:00, the heart rate detection function will be automatically turned on at 21:00. Q4: How to add cared one on i-CareU Life APP? [ Quick Login ] 、 [ Google account ] or [ Facebook account ] . ※You could sign in with the [ existing account ] . If you sign in with [ Quick Login ] , you will get an individual account and the password. 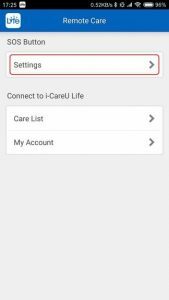 By inputting the existing account and the password, it could assist you to sign in i-CareU Life APP again. 2. 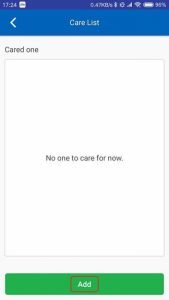 )Please tap the heart icon at the upper left corner to open function menu > [ Setting ] > [ Care List ]. 3. )Tap [ Add ] button > Go to [ Get started with device binding ] page. 4. 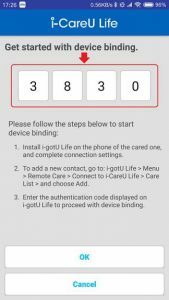 )Request your caring family and friends to activate i-gotU Life APP > Tap the life icon at the upper left corner to open function menu > [ Remote Care ] > [ Care List ] > Tap [ Add ] button > Get the [ 4 numbers authentication code ]. 5. 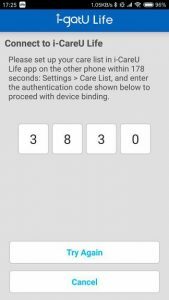 )Please enter the [ 4 numbers authentication code ] to i-CareU Life APP [ Get started with device binding ] page within 180 seconds then tap [ OK ] to proceed with device binding, “ when i-CareU Life setup is complete ” message show up, tap　[ Complete ] to finish the device binding procedure. 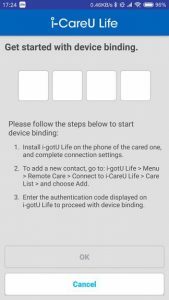 ※Please make sure that i-gotU Life APP has updated to the latest version before proceeding with the device binding procedure. 6. )Cared one will show on the Care List when device binding procedure is complete-finished. (By tapping the arrow icon you could confirm to unbind the cared one of device on the Care List.) Then go back to [ Dashboard ] , you could start to remotely care the cared one's health information.